The City Council’s Land Use Committee will meet on Tuesday, Jan. 15 at 7 p.m. at Newton City Hall to hear about Northland’s much-anticipated transportation plan for its project at Needham and Oak Streets. Northland is proposing a variety of traffic mitigation remedies, including limiting residential parking to one space per unit and funding new and improved bike and pedestian paths. But the most significant part of the plan is a proposal to operate and fund a shuttle system that would be open to public use at stops along its routes. The Cambridge Express which would travel to and from Kendall Square and Central Square in Cambridge every 60 minutes. The Boston Express which would provide service daily to the South Boston Seaport District and South Station every 60 minutes. The documents for Tuesday’s meeting are here . I love the idea of expanding public transportation options in Newton. However, I am highly skeptical of privately operated public transportation. I would love to see the proposal changed to have the city or another governmental agency running the shuttles with funding from Northland as part of the special permit. Perhaps it could even be a partnership with the MetroWest Regional Transit Authority? (1) and (2) are basically the MBTA 59 route. What if the private shuttles complemented MBTA schedules (maybe we’d end up with even better than 30-45 min frequency) and accepted the same form of payment, encouraging public transit? @Bryan: If I’m not mistaken, the 128 Business Council, the state’s first TMA which operates multiple shuttle services across our region, will run the system. The existing TMA shuttle, which runs a handful of times each day, has a circuitous route that takes over 30 minutes, goes right by Northland… It also costs $4 for non-members and has little benefit to the rest of the community. Do we have any idea what the ridership is? If there were some coordinated effort, perhaps a more frequent shuttle could attract more riders. @Greg – Thanks for clarifying, it wasn’t clear to me from the Tuesday documents – I don’t know enough about 128 Business Council so I’m going to look into it a bit more. 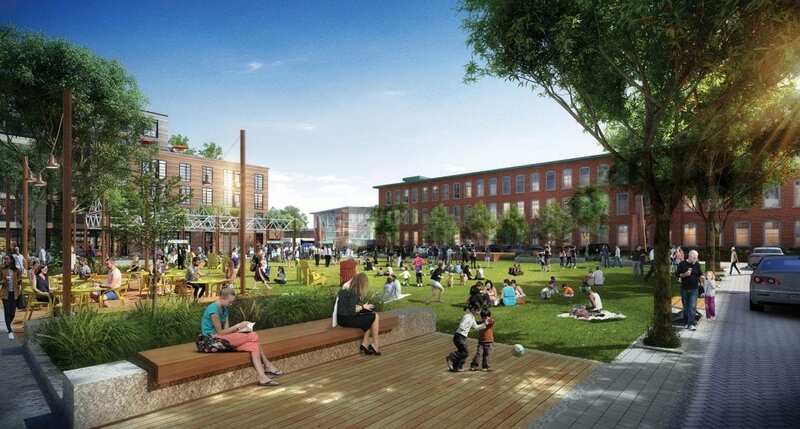 The executive director of the 128 Business Council appeared before Needham’s Select Board a few months ago and expressed her preference for buses as the primary means of transportation to solve the Newton-Needham Innovation District’s transportation woes. Among her proposals was the creation (seemingly at taxpayer’s expense) of priority lanes and other infrastructure for buses, so that they wouldn’t have to wait in the traffic mess. A lot of people were scratching their heads over why anyone would be proposing bus lanes on Highland Ave., for example, since Needham’s only bus line is the 59, which only runs about once an hour and takes the route of a disoriented snail through Upper Falls and the northern reaches of Needham rather than down Highland Ave. The answer, it turns out, was that the buses she had in mind were of course these silly, privately operated Ford TurtleTop shuttles – the 128 Business Council’s, as well as individual companies’, such as TripAdvisors’. The sad thing is that the 128 Business Council’s director sits on the MassDOT Board of Directors and the Fiscal Management and Control Board which is responsible for overseeing the MBTA. So here we have someone who is responsible for improving the MBTA, but who is advocating for public facilitation of private shuttles that would benefit virtually none of the public, except for the private companies that sponsored them (as Adam pointed out, the existing and planned routes are set up exclusively for the benefit of the private entities and serve very few residential users, and the fares are multiples of the MBTA fares, making them generally impractical for most genuine public transit users). I was struck by what seemed to me to be a potentially harmful conflict of interest, but this sort of thing seems to happen with increasing frequency in the administration of the World’s Most Popular Governor (as repeated to us by the Globe on a daily basis). I wholly agree that any mass transit solution should be owned and operated by the public sector and provided for the good of the entire public – with private funding if appropriate. We should not allow this charade by a private company trying to game the system by seeking preferential treatment for their own transport network with, for example, the creation of special traffic lanes for themselves, while knowing full well that in all practicality almost none of the public is ever going to use the service. There’s so many erroneous assumptions in Michael’s comment that it’s hard to know where to begin. The shuttles run by the non-profit 128 Business Council are primarily funded by employers/landlords but available to anyone to ride. (And that’s what Northland is proposing too.) How is providing transportation that takes cars off the street by giving workers an alternative to driving possibly a bad thing? Also, it’s an asset that Tibbits-Nutt both leads the 128 Business Council and has an unpaid position as an advisor to the MBTA because we need advocates for our region advising the T on transportation here. We all know how behind the T is on upgrading its antiquated system. How can it possibly be a bad thing that businesses are willing to step up and provide transportation options, rather than wait decades for the T catch up from its many infrastructure challenges? Public-private transportation solutions are the only way we’re going to begin addressing our traffic needs. Ideas such as dedicated bus lanes or smart traffic lights that give priority to oncoming buses aren’t right everywhere but shouldn’t be universally dismissed either. Did I ever claim that the 128 Business Council shuttles weren’t available for anyone to ride? As has been stated more than once in this thread, they may be open to the public but they are designed exclusively for the benefit of a handful of private companies and are of negligible utility to the general public. How is providing transportation that takes cars off the street by giving workers an alternative to driving possibly a bad thing? You could start with Ms. Tibbits-Nutt’s above comments to the Needham Select Board regarding her suggestion that the public facilitate private shuttles’ “queue-jumping.” What a fantastic metaphor for the strategy of many $10 billion companies these days! (see also: TripAdvisor extorts $1.8 million in tax credits from the Town of Needham, circa 2012)! it’s an asset that Tibbits-Nutt both leads the 128 Business Council and has an unpaid position as an advisor to the MBTA because we need advocates for our region advising the T on transportation here. I don’t see it that way. As the executive director of the 128 Business Council, which operates its own private network, Ms. Tibbits-Nutt has little incentive to argue for improved MBTA coverage in Needham and Newton, and perhaps even an incentive to argue against it, so that the private transport network that she oversees will be more successful. Her organization’s private shuttles potentially remove riders from the MBTA network and exacerbate the low ridership numbers which in turn lead to repeated calls for the few remaining MBTA services to be axed or reduced in frequency. How can it possibly be a bad thing that businesses are willing to step up and provide transportation options, rather than wait decades for the T catch up from its many infrastructure challenges? Because (at least in the case of the 128 Business Council’s shuttle) those options are designed exclusively for their own convenience and do not even remotely consider the needs of the general public. Fantastic for the employees of the $10 billion companies, but for the rest of us, not so much, as we suffer from continued disinterest and disinvestment in the region’s public transit infrastructure. Public-private transportation solutions are the only way we’re going to begin addressing our traffic needs. If “us” refers to the highest-paying members of the Needham-Newton Chamber of Commerce, then you’re absolutely correct. But if “us” refers to Needhamites and Newtonites, then: not so much. According to the preliminary results of the 128 survey a whopping 2/3s of people use the MBTA a day or less a month! Perhaps @Greg can give us an update on usage since the survey? 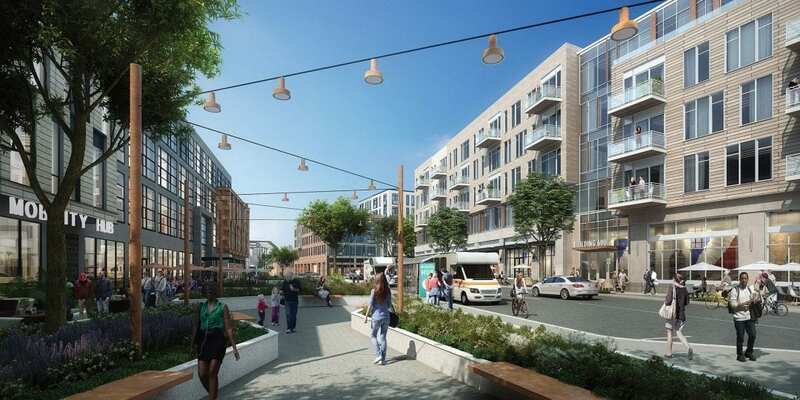 Its also of interest that Needham is looking at rezoning Muzi Ford area for a large scale Mixed Use development. That can only add the woes of Needham St.
Lots of comments in this post and at the Land Use Commitee about a utopian world of shuttle busses and a car-free society – too bad this is New England and it’s snowy and cold 40% of the time. If this shuttle bus program is so great, why not implement now as a DEPENDENCY of future zoning approval? 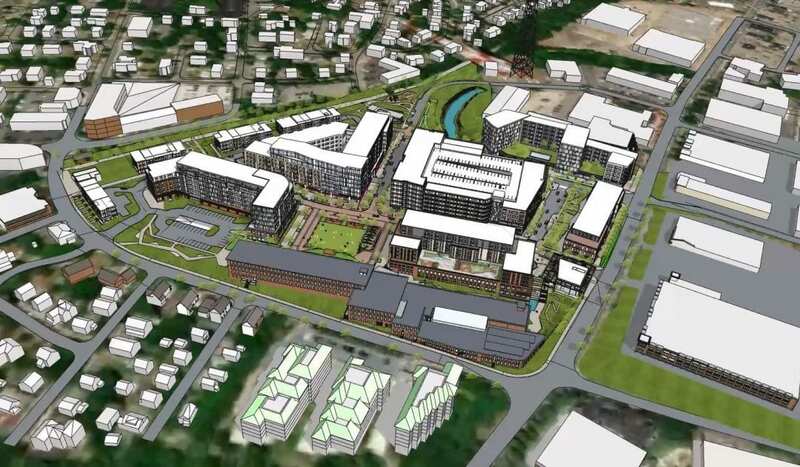 If it works great, let Northland have their 822 residential units. If not, it drops to 411 (as big of a footprint Avalon is, it’s still less than 400, right?). It’s fair and forces Northland to assume more of the risk, rather than squarely on the shoulders of Upper Falls residents and the neighboring villages. The developer probably requires scale to be profitable. It wouldn’t surprise me that at 411 units, they would actually lose money hence no bank would ever finance this contingency. For the stated $67k operating cost per week, I’m sure the company could pay for every resident of the complex to Uber/Lyft to their work and back daily. Restrict it to UberPool if you want to reduce some congestion. Adam is right. Needham Circulator and Needham Commuter are basically duplicates of the existing MBTA services primarily bus route 59. Why doesn’t Northland just pay the MBTA costs of doubling service on Route 59 down Needham Street? As for the comment that the T bus routes resemble a wandering snail, I would counter that they duplicated the streetcar lines that were developed to follow the lines of development within the city and the public services. For instance, 59″s service probably catered to the needs of children and parents (and even teachers?) from Newton Highlands and Upper Falls to get to Newton High School from the southern part of the city. My father commuted from Upper Falls to his job in the Newtonville Post Office from mid-afternoon and back at 10:30 at night. Will Washington Place pay for such diversity in service, perhaps matched up with late night service from Boston at the Newtonville Train Station? Perhaps the street car routes and consequent Bus Route 59 also had something to do with the three story buildings in the Highlands and Newtonville and their greater number of possible riders. Three story buildings have been a feature of village centers for a long time. Perhaps they should be legalized in the zoning reform; two stories are by right in business districts. Making three stories by right might cut down the large number of nonconformities noted by planners under the current zoning. I read the draft zoning reform document to allow 3-story buildings by right. All three Village districts allow small multi-use buildings, which can be 3 stories by right, and medium multi-use buildings, which can be 3 to 5 stories by right, depending on which village district (1, 2, or 3). “We all know how behind the T is on upgrading its antiquated system.” I agree with this in general, but in the specific case of the #59 bus, increasing frequency and hours doesn’t require much change in the T system. The main benefit to an MBTA bus over private shuttles is ease (Charlie cards can be used throughout the system) and equity. Similar to how private schools, while open to the public, exacerbate inequality. @bugek, you are probably correct about the 411 and it’s impact on profitability. But at 822, Newton (and primarily Upper Falls) ends up bearing the brunt of its impact. If shuttle busses are such a great idea, why wait? The need is there. Newton, Needham, Chambers of Commerce, put your money where your mouth is. If it’s as great as its proponents say it will be, Northland can build whatever they want. The proposed Northland project carries an ENORMOUS change in lifestyle for those who live around it. Why should we have to assume so much of the risk? When thinking about profitability, remember that the costs associated with building a smaller development are much less. At one of the land-use meetings, an architect suggested that there is a large jump in the cost of construction once you go over a certain height of building (this is due to building codes that are associated with fire-safety). Obviously, none of us have access to Northland’s cost and income projections, but I wouldn’t be surprised if a project that is actually the right size for this site would be easier to finance than one that is so big that its costs are very high. I don’t doubt for a second, though, that the more units Northland builds the more profit they expect. The developer wants you to assume that they cannot build it smaller so that their plan is approved (because none of us want the site to remain as it is today), but the truth is many other developers have managed to finance projects that were right-sized and Northland can, too, but only if we force them to do so by rejecting this oversized proposal. The MBTA has proposed doubling the frequency of the 59 bus on Needham Street and, in my interpretation, ending the service on Eliot Street.